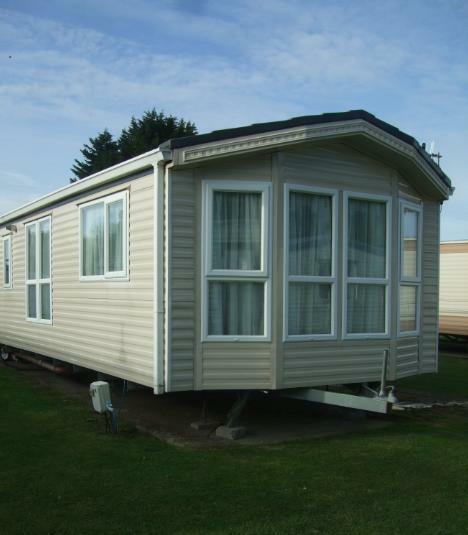 This caravan is situated close to all amenities, the swimming pool, reception, shop, children's play area & just a 2 minute walk from the entertainment complex. Passes for the complex are available to purchase from reception on arrival. It has gas central heating throughout & is fully double glazed to add extra comfort to your holiday, particularly during the Autumn & Winter months. A comfortable modern lounge with 3 piece suite, tv & dvd player & free sat tv . Dining area with 4-6 chairs. A luxurious modern kitchen with fridge freezer, microwave, separate oven, grill & hob. It is fully equipped with kettle, toaster, pots & pans & everything you will need for your stay. Including iron & ironing board, sandwich toaster etc. The shower room has a large shower, toilet, basin & 2 large cabinets. The master bedroom has a king size bed, ample storage space in the walk in wardrobes & an en-suite toilet with wash hand basin. Bedroom 2 has 2 single beds, overhead storage & wardrobe space & there is an additional pull out bed in the lounge area. A patio area where table & chairs are provided is a lovely area to relax in & enjoy the sunshine.